Our formula combines curcumin with bioperine, a patented black pepper extract, and gingerol, ginger extract, which help boost the absorption of curcuminoids and act like curcumin converted fixers for optimal bioavailability. Turmeric is a root similar to ginger which is recognisable by its orange colour. The root or rhizome of the plant contains curcumin, the active substance of turmeric, which gives the powder its yellow colour and slightly bitter taste. A condiment and food preservative, turmeric has also been used for centuries in traditional Chinese medicine and the Indian medicine called ayurvedic medicine, in which it is considered one of the most powerful medicinal plants. As a result, curcumin, the active substance of turmeric, became the star of Asian medicines, both for digestion problems and inflammation. 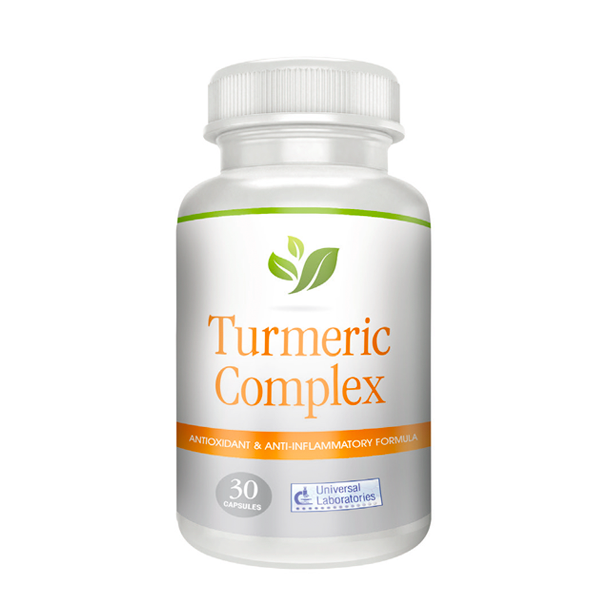 Turmeric Complex has a 95% curcuminoid content. This means that its bioavailability – or its capacity to be assimilated by the body – is optimal, in other words it’s 185 times more powerful than the simple spice. This exceptional active ingredient is therefore used in a powerful dosage to give our Turmeric Complex formula incomparable antioxidant and anti-inflammatory properties. Take 2 capsules per day after a meal. Turmeric Extract, Capsule Shell: Gelatin, Ginger Extract, Microcrystalline Cellulose, Glutathione, Black Pepper Extract, Chelated Manganese Glycinate, Talc, Magnesium Stearate, Silicon Dioxide.